What is a professional learning community and why be in one? I’ve had the fortune of being in a positive, growth-focused professional learning community (part of the Quality Enhancement Plan) at UT Arlington since 2012! Co-Facilitators are: Melanie Mason (Dept. of Communications) and Nila Veerabathina (Dept. of Physics). The project is led by Andrew Clark and supported by the Provost’s office. Justin Dellinger (UTA Link Lab) helps behind the scenes. At my university, we have a Professional Learning Community comprised of faculty and staff who gather about once or twice a month to collaborate, talk, and work towards learning together on a shared topic. We apply our knowledge towards a spring project which is focused either on best practices or action-research and individual, but around a common theme, in this case, virtual teamwork. This year I will be facilitating-as part of team-a professional learning community. The goal of the group is multi-faceted: 1) learn together 2) grow together professionally around a shared subject: virtual teamwork in higher education teaching and 3) network. These all go together. PLC’s are an informal way to share ideas, talk outside of the constraints of formal meetings (although we will be gathering together at designated times). What is virtual teamwork? How does it function across various subjects inside and outside of higher education? What frameworks of learning and development inform virtual teamwork (e.g., networked learning, distributed learning). 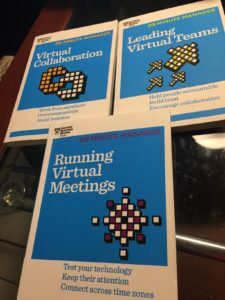 What are the tools of virtual teamwork and what are the “best practices” of connecting, both formally and informally? 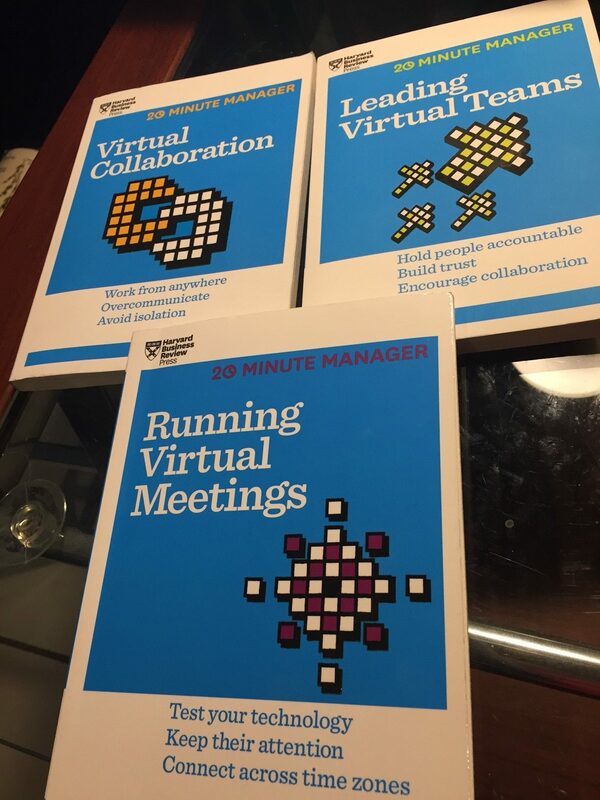 What are useful and practical ways to incorporate virtual teamwork into online and/or face-to-face courses? We will likely take a baby steps approach here and not try to bite off too much right away. I’m a huge fan of the cross-pollination approach to learning, informally, where we can share ideas across departments and content areas. I love that PLC is a semi-grassroots, yet sanctioned, way to learn together. Looking forward to sharing ideas! Talk about our aligned mission and aims. Regularly reflect on our teaching practice. Provide feedback to one another on application of ideas to teaching, our own professional development, and new learning. Maintain a focus on learners. Looking forward to a great year of learning, networking, and productively hanging out!!!! Last year’s projects are here and overview video highlights are here! Thoma, J., Hutchison, A., Johnson, D., Johnson, K., & Stromer, E. (2017). Planning for Technology Integration in a Professional Learning Community. The Reading Teacher, 71(2), 167-175. Next Post:Looking forward to the Microsoft Innovative Educator (MIE) Teacher Academy on September 13!